It was a pretty broad study, the kind that’s been done before. They plotted BMI against mortality in a large cohort of Danes from 1976 to 2013, tracking how the “ideal” (lowest association with mortality) BMI had changed over the years. By 2013, the BMI associated with the lowest mortality had increased by 3.3 points to 27. That’s overweight. So: start a mass gain protocol, stat? Before you do that, let’s also look at another recent study on bodyweight and mortality. This one was a meta-analysis of 230 existing studies comprising 30.3 million people and 3.4 million deaths. The researchers added an interesting and highly relevant wrinkle to their analysis: instead of pooling everyone together, they separated never-smokers and never-smokers without health problems. They also analyzed the effect of BMI on mortality risk in studies with long-term followups. Why do these differences matter? Is Weight Loss Impossible and Unhealthy? Part of the reason why intermittent fasting/restricted feeding windows works so well is that it leads to inadvertent calorie reduction. When you don’t eat an entire meal, it’s hard to make up for it. Eat when hungry. Stop when full. Most studies find that breakfast skippers are hungrier at lunch than breakfast eaters, but they don’t actually eat enough to make up for the calories they missed at breakfast. This is good. This is why skipping the occasional meal tends to improve weight loss. It makes eating less easier. Unless you’re trying to gain weight, you don’t need to force more calories down. It’s not like you’re running on empty just because you didn’t eat breakfast. 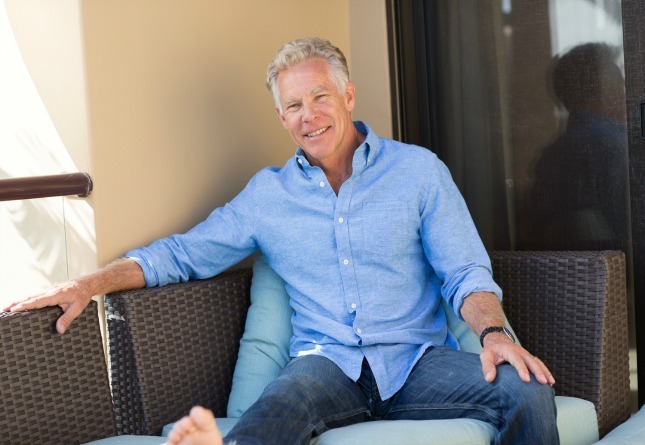 You’re still burning energy, burning “calories.” And once you get fat-adapted, a process which fasting tends to accelerate, you tend to get that energy from your body fat. You aren’t missing any calories. You’re just getting them elsewhere. Did you ever read the post about “sleeping low“? It went up a couple months back and I’d recommend it. In short, doing a big HIIT session after a long fast on low-carb is really tough. Your glycogen stores will be depleted (from lack of carbs in the diet and from not eating for the past 16 hours), so you won’t have a lot. That’s why your legs were shaky. A better option is to eat a small dose of carbs before the HIIT workout. Remember that green veggies don’t really contribute to your carb intake. They provide fiber, micronutrients, phytonutrients, but very little usable glucose. You’re not gonna refill glycogen with broccoli and Swiss Chard, so instead eat a potato (maybe cooked and cooled for increased resistant starch), a banana, some mango, or maybe a bowl of berries. Something starchy and Primal to the tune of 30-40 grams of carbs. As for the blood glucose spike, that’s normal since sprinting is a particularly glucose-intensive activity. It burns right through muscle glycogen. Sensing this, the liver releases glucose to provide additional fuel for the body; in healthy people, type 2 diabetics, and type 1 diabetics alike, blood glucose spikes after most any exercise, but especially after sprinting. Long term, sprinting will improve glucose control. Next post >Good Fat, Bad Fat Has Arrived! Order Your Copy Today and Get a Free Gift! I like the idea of “carbing up” with berries, if you have to. I’ve been debating starting some HIIT sessions, but the carb source gave me a little pause. So I’ll try it out if I get some shakes. I know that seemed like an obvious question, but I’m glad you provided a little clarification on fasting. It hadn’t really occurred to me that if you eat the same amount of calories (only later in the day) after you fasted, you may be negating some of the benefits. Not all of them, I’m sure, since autophagy, etc. during the fasting period were still probably helpful. But it makes sense to defer to your intuitive sense of hunger, which, after a fasting reset, is usually lower. What an oversight! Not separating smokers and non-smokers? Oy, vey! Now I wonder how many people are going to use that study as an excuse to avoid making some of the hard changes that could do them some good. Thanks for this, Mark. Interesting point about the blood glucose spike: that during a high intensity exercise like sprinting, the body skips glycogen and goes for released glucose. I hope everyone reads your article, Mark, so they’re not fooled by the headlines the BMI study has been grabbing. I’ll share it! I find that (as a breakfast skipper or late breakfast eater) the study on hunger at lunchtime rings true. If I skip breakfast, I may feel extra hungry come lunchtime. BUT, I find that I fill up very, very fast, so it’s pretty obvious that I’m not recouping the calories I missed by skipping breakfast. I’ve found that the easiest meal for me to skip is lunch. If I have a project to keep me occupied, I feel better and have more sustained energy if I just wait until supper. Anyone else here skip lunch occasionally? If so, have you seen any noticeable benefits? I have breakfast between 11 and 1:00 so I essentially miss the typical Lunch. Then I have one more substatial meal between 6 and 8. I may snack a little in between with berries, hard cooked eggs, primal leftovers like a few slices of steak slathered in chimichurri. I drop weight fast on this regimen as long as I spend an hour or two in the morning with moderate exercise and ingest nothing but water after 8:00 in the evening. For a number of years since Primal I’ve had a fat/protein breakfast and just not felt hungry for lunch and eat an early 5:30-6:30 evening meal. HOWEVER, the last year or so I’ve gained about 12lbs in body fat and the more I read around the subject of older females (I’m 49) and fasting the more I’m beginning to think this isn’t so good. I think the ‘stress’ of skipping is probably ‘fat storing’. Quite a few texts talk of maintaining even blood glucose with more regular eating… this doesn’t make huge sense to me when I think of Grok but I’m now having a small lunch even though I don’t feel hungry to see if it helps. And population studies should take into account genetic variability. One diet fits none; OK, very few actually. _Death By Food Pyramid_ by Denise Minger gives a breakdown of various genetic differences and consequences. Different Stokes for Different Folks is for example the reason for 2 vs 4 cycle motorcycles. BMI studies will always be flawed because they don’t differentiate between muscular people and fat people. At 5′ 11″ and 190 lbs., my BMI is 27, which is classified as “overweight.” But I have visible abs (not magazine cover quality, but you can see ’em). I’m not fat; I have an athletically muscular build. I can’t believe that being strong and muscular is a health detriment (I can believe it once you’re getting to the extremes that professional bodybuilders get to, but I’m not even close to that). Maybe it’s the case that having extra muscle mass, and therefore having a higher BMI, presents a mortality risk. But I highly doubt it. Yes, I’d also like more follow up on this point. I’m a short, stocky, breastfeeding mom, so my BMI is 26. There is a bit of fat going on due to breastfeeding, but there’s no way I’d ever be able to get my BMI down to a comfortable 20-22. I know Mark has posted about carrying capacity for weight, so I wonder if that comes into affect? Also, the stats weren’t separated for men and women, kind of surprised on that point as women naturally carry more fat. Still taking this study with a huge grain of salt as BMI is a poor marker for health. Agreed that differentiating between men and women in a study would also be really helpful. I’ve read several times that BMI alone can be an inaccurate test of health. It might be more well-rounded if bodyfat percentage was also included in the study. Although it’s kind of difficult for the average person to get a really accurate bodyfat calculation – the calipers are pretty inaccurate, and the water displacement method and egg machine are pretty costly to get done. Fasting is da bomb. I’ve been IF for a year, on weekends only, steadily increasing the hours. I now do a 20hr fast on Sat. and a 24 hr fast on Sun. I love it. I’m finally getting rid of this stubborn belly fat, that going primal alone was not capable of. Legs shaky after your first HIIT session? Totally normal for anyone. Overtime you’ll adjust to the intensity, independently of your carb intake, and you’ll feel more solid. I do my exercise in the morning so I like my carbs at night and lunch. Before I was fat adapted I tended to crave carbs after a workout. Now I mostly crave fat and protein and tend to want the carbs later. No need to rush out to fill the glycogen stores right away. They get filled pretty easily. Excellent, I now have a solid goal! Six feet tall, I should get my weight down to… 150 lbs! or build muscle and reduce fat. Mark, thanks for commenting on the BMI study. The first thing I thought of when I first saw that popping up was that they were documenting mortality at time of death, not time of onslaught of disease. Many diseases are ‘wasting’ diseases and cause significant weight loss prior to death. The numbers you put up make a lot more sense. I don’t think being that thin would give me an advantage if something tries to eat me. When I weight this 190-ish I am surprisingly strong without really trying. Down toward the 170 mark I’m not sure I could crush a cougar’s trachea while kneeling on its front legs…it would just throw me. As of now, I could pretty well throw IT. BMI can be misleading when one is muscular and overweight/obese. But it’s useful because it’s simple and, unfortunately, majority of people who are overweight/obese are not muscular, they’re just fat. 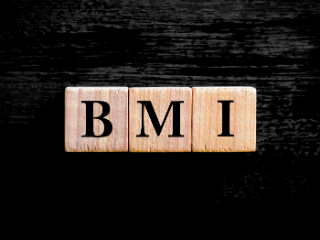 One more thing that makes BMI unreliable – some examples are those with a high muscular weight, but low body fat can have BMI’s up to 28 or more, yet body fat is 4%, so 2 people with a BMI of 28 could actually have radically different muscle/fat ratios. Its a well known fact that strength athletes in particular have high BMI’s but low body fat. The whole study uses a very broad brush, so broad in fact as to make it kind of useless. I’m 64 and in good shape. Can I fast (except for fatty coffee) and do HITT/running/weight training will fasting? What if I do a 24,48,72 hour fast.